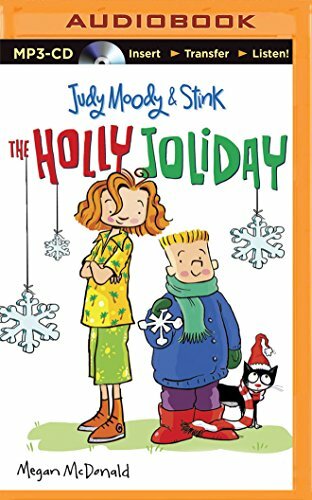 9781501278600 | Mp3 una edition (Candlewick Pr, August 25, 2015), cover price $9.99 | also contains The Holly Joliday | About this edition: Judy Moody is making a list and checking it twice, but all her brother, Stink wants this year is snow. 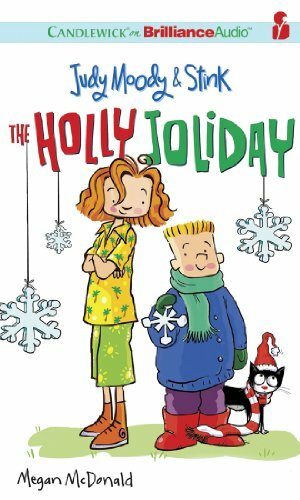 9781441889287, titled "The Holly Joliday: The Holly Joliday" | Unabridged edition (Candlewick Pr, October 26, 2010), cover price $9.99 | About this edition: Judy Moody is making a list and checking it twice, but all her brother, Stink wants this year is snow. 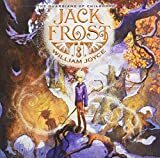 9781441889317 | Mp3 una edition (Candlewick Pr, October 26, 2010), cover price $24.97 | About this edition: Judy Moody is making a list and checking it twice, but all her brother, Stink wants this year is snow. 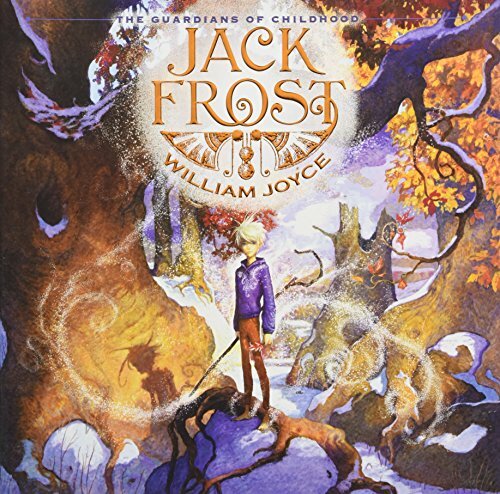 9781441889294 | Unabridged edition (Candlewick Pr, October 26, 2010), cover price $24.97 | About this edition: Judy Moody is making a list and checking it twice, but all her brother, Stink wants this year is snow.